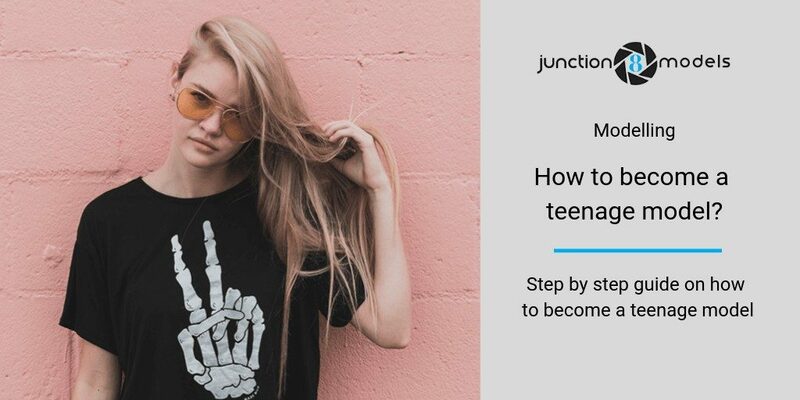 If you are interested in modelling, your teenage years are actually the best years at which you can get started on this career path. The modelling industry is famously easy for teenagers to get into. If you have the right look and have a passion for it, you stand a chance to gain fame and fortune in equal measure doing what you love. However, do not be lied to. The modelling industry is about so much more than the glitz and glamour that is associated with it. There is so much more that goes into it that photo shoots and fashion shows. It is also incredibly hard to get into, so if you are not absolutely sure this is the career path you want to take, it is actually easier and more worth your while to stay in school and choose another career that you are more passionate about. That being said, if you are a photogenic teenager that is absolutely set on being a model, you need to understand that there are a few key traits that everyone who makes it in this industry has. You need to be persistent, hard-working, focused and resilient. If you do not have all these traits, you will likely give up along the way when the going gets too tough, because things will definitely get tough. However, if you have all these traits, then this article is for you. Here is how to become a teenage model using a more traditional path than simply contacting ourselves first. That’s right we are a talent seeking organisation looking for people like you. We work closely with professional modelling agencies to provide the right people they are looking for. We have the power to help kick start your teenage modelling career and all you need to do is simply fill this form in. But we wrote this article for people looking in search engines for how to become a teenage model, here’s an overview of a more traditional entry to your career path (or you could just contact us). Once you have done all these and built up your confidence and experience, you can finally start contacting agents and agencies and putting yourself out there, waiting for your career to take off. Doing your research is arguably the most important step in your journey. You need to know what you are getting in to. Are you completely sure you enjoy modelling and everything that goes with it? Read about the required traits in models, and be sure that you have each one. You should also find out all the different types of models and the different fields of specialization. What works for you? The most common type of models. They walk on runways and showcase the different fashion designs of different fashion houses or designers. They also pose for photos wearing these designs. If fashion shows and runways are your thing, then this is the type of model you should consider being. You need to be thin, tall and not curvy. Height requirements are usually specific to agencies, but generally, you cannot be shorter than 5’8″. If TV or print ads are more up your alley, then commercial modelling is for you. Commercial models come in a wider variety of shapes and sizes, and their choice usually depends on the requirements of the marketing campaign. If you are larger than a size 10, then you fall into the plus size model category. Plus size models can also be fashion models or commercial models. They model plus size fashion or accessories. Again, you cannot be shorter than 5’8″. Do you have a really pretty foot or hand? Do your nails or hair particularly stand out? You might have the qualifications of a part model. Part models usually model specific body parts. You can specialize in your favourite body part and showcase only that part. To be a part model, there are no specific requirements of general body type. Modelling is very competitive. It is also very superficial. You will be judged almost solely by your looks. To be a teenage model, you need to accept the fact that you may not always be the best-looking person in the room, or the agent may be looking for a particular set of traits that you do not have. Rejection is part of being a model, and you need to make peace with that fact. If you are short, consider a different career path. You will also not make much money as a model. Models usually rely on one or two really big jobs which pay well. These are few and far in between. If you are passionate about modelling, consider having an additional alternative source of income until your modelling career really takes off. This may take years, so it is best to stay in school and find something you love that can pay the bills after you are done as you pursue your modelling. As a teenager, you are young. You have your whole life ahead of you, so you may look at the world through rose coloured glasses. However, you need to be realistic. Modelling is a career choice that should only be driven by intense passion. If you have doubts, stay in school and come up with other career options that you can enjoy. If you are a teenager below the age of 18, you need parental consent before any doors can open for you in the modelling world. Tell them about your plans. Make them understand your passion, and assure them that school still takes the centre stage for you. Take your time trying to convince them, because not all parents will be open to the idea. If you have to, give them some time to process what you have said and talk to them about it again in a month or two. If your parents allow it, take a few modelling classes. You will learn how to find your inner confidence, how to build your portfolio and the ins and outs of the modelling world. It is important to note here that not all modelling schools are legitimate. Some are scams, and it is up to you to do your due diligence and protect yourself. Check their credentials and look them up with your local authorities to make sure their certifications are legit. If you can’t afford it, modelling school is not necessary. The Internet is an amazing resource if you know what you are looking for. Take advantage of it. Before the internet, aspiring models had to rely almost solely on magazines to learn the basics of modelling. Do not ignore fashion magazines. They have so much to teach you. Collect them and study the model poses. What works best on camera? What do you like? What don’t you like? What can you change? How would you change it? Get a mirror and practice in front of it. Copy, then personalize. Make them your own. Take a few photos of yourself and ask friends for some honest criticism. Let them correct you. It will help you build the thick skin you need in this industry. Confidence is everything to a model. And confidence takes practice. Get used to the poses and let them come naturally to you. Your confidence will ooze in front of the camera. It is important to have at least a little experience before you dive into the deep end. Keep an eye out for opportunities to build on your experience, because they may come in form of anything. A family Christmas card photo? A friend’s photography class assignment? A volunteer fashion show? You will likely not get paid much to do any of these, but they’ll give you a feel of how it feels to be photographed. If you get the chance to pose in front of a crowd of people such as on a runway, take it. Find out how you like it because that will likely be your life if you become a model. These opportunities are also great in helping you build your portfolio, which is essential in securing that first meeting with an agent. As a model, your body is your temple. It is your entire career. You need to take care of it. As a teenager, it is easy to ignore the consequences and eat whatever you like or fail to eat essential foods. However, gaining or losing too much weight can end your career before it begins. Work hard to maintain your ideal shape. Work out, eat well, stay active. Drink a lot of water, get enough sleep and exercise your mind, too. Be healthy and look radiant, because modelling is all about putting your best foot forward. This is how you get those modelling jobs. Agents and agencies link you up with companies that require modelling services, which then pay you. You need to have a portfolio before you approach modelling agents or agencies. Your portfolio is a collection of your past modelling projects, headshots and general pictures of yourself. If you have never gotten a modelling gig, just make sure you have photos that showcase your range of looks and your face at different angles. Remember to include one or two photos with no makeup on and your stat sheet, which shows your height, weight, body measurements, eye colour, skin colour and hair colour. If there are any open calls, apply to them. Ask your parent or an adult to help. Open calls are invitations for consultations put out by modelling agencies. Again, just make sure what you are responding to is legit. Submit your portfolio to ourselves and we can help make contact on your behalf. When you meet an agent, confidence and professionalism are key. Getting into the modelling industry is an amazing way for teenagers to make some income, and it opens up a world of opportunity for them. It also teaches you a lot more than what conventional schooling does. However, remember that it is a very competitive industry, which means that your career may take a while to pick up. If you are young, staying in school while you pursue modelling is the wisest decision. Find a mentor who can walk with you on your journey, and follow their advice. Hopefully, these tips begin to give you an understanding of how to become a teenage model.